R.V. Easwar, J. – These are two writ petitions filed under Art. 226 of the Constitution of India, challenging the jurisdiction of the first respondent to (i) reopen the assessment by issue of a notice under section 148 of the Income tax Act, 1961 (“the Act”) and (ii) to treat the petitioner as an “assessee in default” under section 201(1) for not deducting tax under section 195(2) and consequently recover interest under section 201(1A) of the Act. 2. The petitioner is a private limited company incorporated in India. It is a wholly-owned subsidiary of Samsung Electronics Ltd. (“SEC”) incorporated in South Korea. It is engaged in the manufacture and trading of electronic items in India under the brand name “Samsung”. The raw materials and spares were imported from the holding company. The sales were “high-seas sales”, completed outside the territory of India. The petitioner’s stand was that it was not liable to deduct tax from the payments made to the SEC for the goods, the contention being that since the property in the goods was transferred outside the territory of India no income accrued or arose to SEC in India; correspondingly, there was no liability on the petitioner’s part to deduct tax from the payments as required by section 195(2). It was also its stand in the return of income filed for the assessment year 2006-07 that since no tax was deductible from the payments, the payments could not be disallowed in the assessment by invoking section 40(a)(i) of the Act. 3. The return of income for the assessment year 2006-07, relevant for the financial year ended 31-3-2006, was filed on 29-11-2006 along with Form No. 3 CEB, declaring a total income of Rs. 36,26,44,434/-. The details of the transactions with the associated enterprises were furnished, including the transactions with SEC. A reference was made to the Transfer Pricing Officer (“TPO”) who made upward adjustments amounting to Rs. 1,27,58,65,045/- by order passed on 30-10-2009, which was later rectified by an order passed on 12-11-2009 under section 154 reducing the adjustment to Rs. 1,24,86,79,414/-. The respondent proposed a draft assessment order under section 144C of the Act on 22-12-2009 computing the total income at Rs. 1,62,44,65,280/-; no disallowance of the payments made to SEC was proposed under section 40(a)(i) in the draft order. The petitioner filed its objections to the draft order before the Disputes Resolution Panel (“DRP”). The DRP issued directions to the respondent vide order dated 30-9-2010 and the respondent completed the assessment of the petitioner under section 143(3) of the Act by order dated 19-10-2010, after making an adjustment of Rs. 1,24,86,79,414/- to the international transactions with the associated enterprises as originally proposed in the draft assessment order, read with the rectification order dated 12-11-2009. 4. During the pendency of the objections before the DRP, a survey under section 133A was conducted in the premises of the petitioner on 24-6-2010, in the course of which statements from some of the employees, including expatriate-employees, were recorded. Certain directions would appear to have been issued on 30-9-2010 by the DRP under section 144C(5). Thereafter, on 28-3-2011 the respondent issued a notice under section 148 to SEC reopening its assessment for the assessment year 2006-07 on the ground that SEC had a “fixed place PE” and a “dependent agent PE” in India, the income from which had not been disclosed in its return of income and thus such income had escaped assessment. Apparently the notice was issued on the basis of the material gathered during the survey of the premises of the petitioner, and particularly the statements of the expatriate-employees. The survey also triggered a notice (undated) from the Income-tax Officer, TDS-International Taxation which was received by the petitioner on 25-4-2011 seeking details of the payments made by it to SEC and other associated enterprises during the past ten years, and seeking the petitioner’s explanation as to why it should not be treated as an “assessee in default”, for not deducting tax from the payments. 5. We will now turn to the progress made in the case of SEC pursuant to the notice issued to it under section 148 on 28-3-2011. A draft assessment order was passed by the Assessing Officer on 30-12-2011, holding that SEC had a fixed place PE in India as its employees who were deputed to the petitioner had a fixed place allotted to them in the office of the petitioner. In the draft assessment order, the view taken was that 10% of the salary paid (by the petitioner) to the expatriate-employees was attributable to the fixed place PE and was taxable in India. It needs to be mentioned that no part of the sales made by the SEC to the petitioner (high-seas sales) was held attributable to the PE (permanent establishment) and chargeable to tax on that basis. SEC filed its objections to the draft assessment order to the DRP under section 144C of the Act. The DRP called for a remand report from the Assessing Officer on the submissions made by SEC. In the remand report dated 7-9-2012 by the Assessing Officer (of SEC), he reiterated that SEC had a fixed place PE in India and submitted that (a) there was such a continuity of dealings between the petitioner and SEC as would amount to a “business connection” between them; (b) SEC was carrying on business in India through its employees seconded to the petitioner and that the business of supply of equipment, raw materials etc. is intertwined with the supply of technology and marketing of the products and (iii) the petitioner, though incorporated in India as a company, is an agent of SEC. On the basis of these submissions, it was contended by the Assessing Officer in the remand report that all the sales made by the petitioner were sales made by SEC in India. In its order dated 29-9-2012, the DRP agreed with the Assessing Officer that SEC had a fixed place PE in India but rejected the plea that the petitioner is the agency PE of SEC in India and hence the (income from the) sales by SEC in India are chargeable to tax in India. That order of the DRP would appear to have attained finality. An assessment order was accordingly passed on SEC on 18-10-2012 computing its income at Rs. 1,07,22,431/-; needless to add that no income from its sales made in India was brought to tax. Form for recording the reasons for initiating proceedings under section 148 for obtaining the approved of the Commissioner of Income tax. The DRP has confirmed the order of AO in this regard. Final order was passed by AO of Samsung Electronics Corporation on 18.10.2012. A show cause dated 30.03.2013 in the proceedings u/s 201/201(1A), read with section 195 of the Income-tax Act, 1961 in the case of Samsung India Electronics Pvt. Ltd has been issued by DDIT, International Tax, Circle 2(2) , New Delhi, in the light of judgment of Supreme Court in the case of Transmission Corpn of AP and GE Technology Cen Pvt. Ltd. 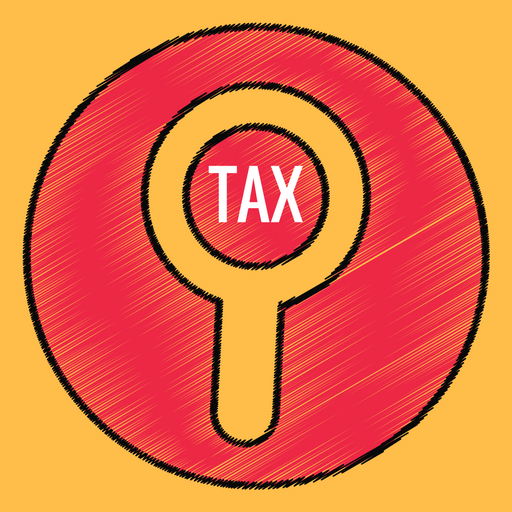 The assessee-company was liable to deduct tax on appropriate portion of the total payments which were chargeable to tax under the provisions of the IT Act,1961. As the assessee-company has failed to withheld tax on payments made to Samsung Electronics Corporation, the expenditure claimed in this account is not allowable in view of provisions of section 40(a)(i) of the Income-tax, 1961. It is observed from assessment record that Samsung India Electronics has made huge payments to its parent company Samsung Electronics Corporations without deducting tax u/s 195 of the Act which are to be disallowed and added back to the taxable income of the assessee-company. There is failure on the part of the assessee-company to disclose fully and truly all the material facts necessary for the assessment of its correct taxable income. I have therefore, reason to believe that an amount of Rs.1139.21 crore have escaped assessment within the meaning of section 147(c) of the IT Act, 1961. The escapement of income has been by reason of failure on the part of the assessee to disclose fully and truly, all material fact necessary for assessment. Since the assessment has been completed u/s 143(3) of the IT Act, 1961 and 4 years have since elapsed. The assessment record is being submitted for kind perusal and approval u/s 151 of the IT Act, 1961 for issuance of notice u/s 148 of the IT Act, 1961. In response to the notice, the petitioner filed a letter dated 8-4-2013 stating that the return of income originally filed by it may be treated as the return filed in response to the notice of reopening. Thereafter, on 22.11.2013 the petitioner filed its objections with the Assessing Officer. These objections were rejected and disposed of by the Assessing Officer by order dated 20.1.2014, which is impugned herein. 7. The common contention taken on behalf of the petitioner is that since the revenue itself took a decision in the reassessment proceedings of SEC that no income accrued or arose to SEC from sales made by the petitioner in India, the petitioner was not liable to deduct tax from the payments made to SEC under section 195(2) with the consequence that: (i) it cannot be treated as an assessee in default under section 201(1) and therefore no interest was chargeable under section 201(1A) and (ii) the payments made to SEC were rightly allowed in the original assessment as deduction and the notice issued under section 148 to disallow them under section 40(a)(i) is without jurisdiction. Strong reliance is placed on the order of the DRP dated 29-9-2012 in the case of SEC which rejected the claim for enhancement of the income made by the Assessing Officer on the ground that SEC had a PE in India and hence assessable on the sales made through the petitioner in India. It is contended that since the DRP’s order has attained finality, the revenue cannot now take a contrary position and contend that there was an income element in the payments made by the petitioner to SEC on which it (petitioner) ought to have deducted tax; and if there is no liability to deduct tax, there can be no failure to deduct tax and no disallowance can be made by invoking section 40(a)(i). It is pointed out that the original assessment of the petitioner was concluded on 19-10-2010, after the survey was conducted (on 24-6-2010) in the course of which statements were obtained from the seconded expatriate-employees and other material was gathered, on the basis of which SEC’s assessment for the assessment year 2006-07 was reopened by notice issued on 28-3-2011 under section 148. There was thus no fresh or tangible material which came into the possession of the revenue after the completion of the original assessment which would implicate the petitioner with failure to furnish full and true particulars at the time of the original assessment proceedings. The respondent, it is contended, has not alleged any such failure on the part of the petitioner which he is required to do, as this is a case where the proviso to section 147 applies, and the assessment is sought to be reopened after four years from the end of the assessment year (i.e., assessment year 2006-07 & notice issued on 30-3-2013). In support of these submissions, a written synopsis was filed. In this, the aforesaid contentions have been elaborated with reference to the case-law. 8. The further contentions against the notice under section 201(1) and (1A) are that: (i) it is contrary to the directions of the DRP in the case of SEC; (ii) there is no application of mind on the part of the respondent No.1 and (iii) it is barred by limitation. 9. The contention of the revenue is based on a judgment of this court in CIT v. Amadeus India (P.) Ltd.  351 ITR 92/ 203 Taxman 602/16 taxmann.com 43. The learned standing counsel has also filed an additional affidavit on 12-12-2013. He has further relied on a judgment of a Full Bench of this court in CIT v. Sardari Lal & Co.  251 ITR 864/ 120 Taxman 595. Besides, he has strongly contended that the disclosure made by the petitioner in the course of the original assessment proceedings vis-a-vis payments made to SEC was not full and true; the petitioner did not disclose that it did not deduct the tax on such payments. The order of the DRP in the reassessment proceedings of SEC, in his submission, is irrelevant as it is passed in proceedings relating to the recipient of the money and those findings should not be projected into the petitioner’s case. 10. The key to the decision is the answer to the question whether any income arose or accrued to SEC through its PE in India in respect of the sales made in India. If the answer is in the affirmative, both the notices would be good notices; if the answer is in the negative, both the notices would be bad. The answer in our opinion should be in the negative, because even as per the revenue, as reflected in the order passed by the DRP in the reassessment proceedings of SEC, no income accrued to SEC in India. In this regard, the DRP rejected the specific request made by that Assessing Officer in his remand report that the petitioner be treated as the permanent establishment (PE) of SEC and the income of SEC be computed on that basis. The DRP, however, held that as regards attribution of income to the “fixed place PE”, a rough and ready basis would be to estimate 10% of the salary paid to the expatriate-employees of the petitioner as the markup, as was done by the Assessing Officer in the draft assessment order. The remuneration cost in respect of such employees seconded to the petitioner amounted to Rs. 10,72,24,310; this was taken as the base and a markup of 10% had been applied by the Assessing Officer and the income was taken as Rs.1,07,22,431/-. This was approved by the DRP in its order dated 29-9-2012; the other claims made by the Assessing Officer in the remand report were rejected. 11. Thus the basis of both the notices (sections 148 and 201) has been knocked-out of existence by the DRP’s order in the reassessment proceedings of SEC for the same assessment year. On the date on which notices were issued to the petitioner under Sections 148 and 201(1)/(1A), there was an uncontested finding by the revenue authorities (i.e., the DRP) in the case of SEC that SEC cannot be taxed in respect of the sales made in India through the petitioner on the footing that the petitioner is its PE. If no income arose to SEC on account of sales in India since the petitioner cannot be held to be its PE in India, two consequences follow: (i) the payments made by the petitioner to SEC for the goods are not tax deductible under section 195(2) and hence they were rightly allowed as deduction in the original assessment of the petitioner and (ii) the assessee cannot be treated as one in default under section 201(1) and no interest can be charged under section 201(1A). It needs mention here that the notice under section 201 is a verbatim reproduction of the remand report of the Assessing Officer in SEC’s case filed before the DRP. 12. In the view we have taken, it is not necessary to deal with the contention that the notice issued under section 201 is barred by limitation. 13. The notices, both under section 148 and section 201(1)/(1A) are accordingly, quashed. The writ petitions are allowed. There shall however be no order as to costs. This entry was posted in Section 195, Section 9 and tagged 364 ITR, Delhi High Court, In favour of Assessee, issue of notice.